Love designer labels but don't have the cash to splash? Don't worry. Throughout the next couple of seasons, you will be able to purchase designer names at high street prices. We have already seen the success behind collaborations, namely Lanvin for H&M, Giles Deacon for New Look and Henry Holland for Debenhams. This season, brace yourself and form an orderly que. 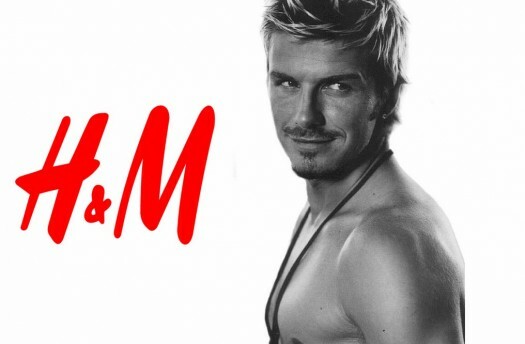 The most anticipated collaboration this season is Versace for H&M. The heritage luxury brand is teaming up with the swedish hit store to bring you affordable and desirable pieces. 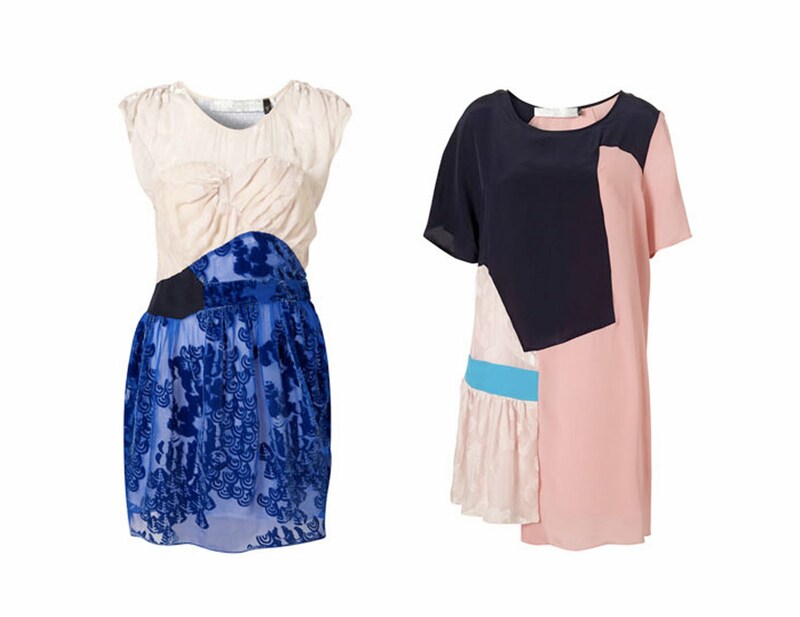 Winter is almost amongst us, the Jonathan Saunders for Debenhams will add a touch of glamour to your wardrobe. 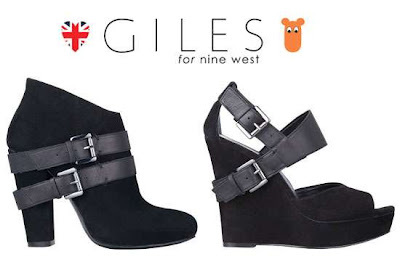 The collection Launched on the 12th September 2011 and is available in store and online. Precious daughter of established designer John Rocha, Simone Rocha has collaborated with Topshop this season. Bringing us classic, finely cut, modern yet romantic designs. Below is two of my favorites. 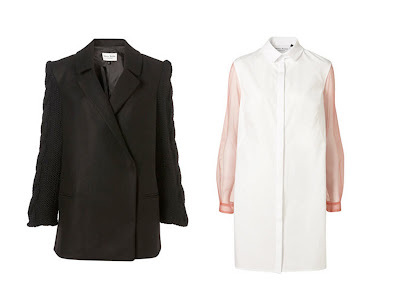 A cable sleeved coat and a simple, chic white shirt with contrasting sleeves. The collection is available to buy in Topshop now. In store and online. Michael Van Der Ham, one of the most talked about at last weeks London Fashion Week. Michael Van Der Ham for Topshop is a collection of deconstructed shapes, a mixture of fabrics and eye catching details. The collection was launched last week during London Fashion Week in their Oxford Street and Knightsbridge stores. Don't live in London? don't worry, you can also find it online! Keep your eyes peeled out for these future collaborations! Wow!! Thanks for the heads up. I'll be keeping my eyes peeled for versace at h&m! How exciting! I've been looking forward to the Versace for H&M ever since I read about it! I'm sure it'll sell out immediately. i hope they bring this out in sydney!! Wow, I didn't even know about this ! I'm most excited for Versace for H&M. ooh i love michael van der ham! that shirt with the sheer beige sleeves omg want!